Do you remember the fashion emergency I posted here last week? Thank goodness I work near Orchard Road which is a famous retail hub in Singapore. It made my last minute shopping for smart casual attire very convenient. The fickle-minded me actually shopped two sets of smart casual attire, in case I change my mind on what to wear last minute which always happens. 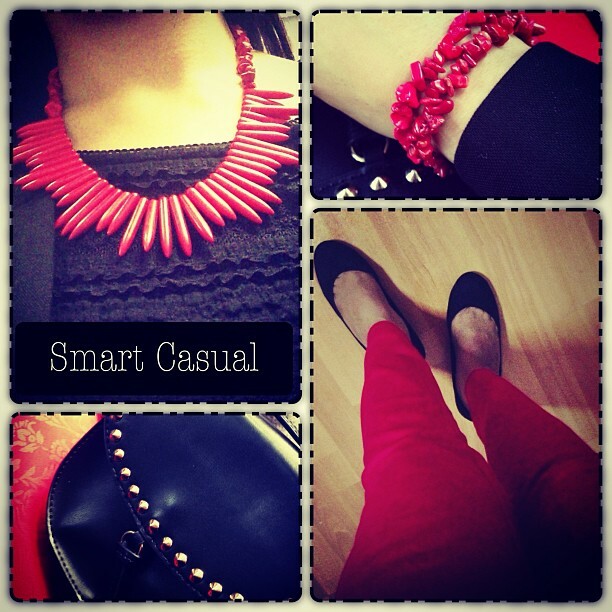 I decided to go for the Red and Black combination as it was more appropriate for the event.